Are you the owner of a Sony Ericsson mobile? 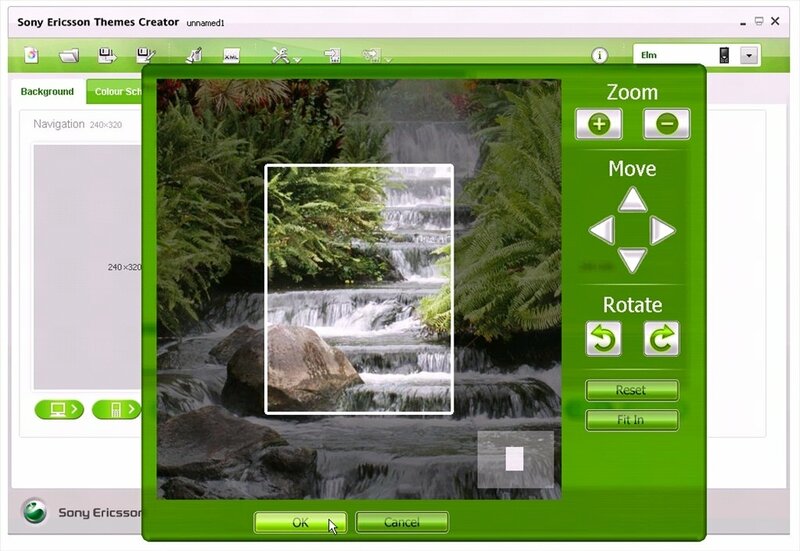 Themes Creator is a graphic design tool to create new customized themes. Modify the appearance of the mobile's graphic interface editing menus, ringtones or wallpapers and replace them with those you like the most. 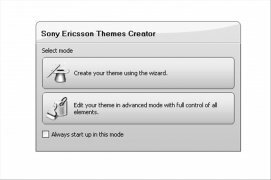 Customize the appearance of any Sony Ericsson mobile. 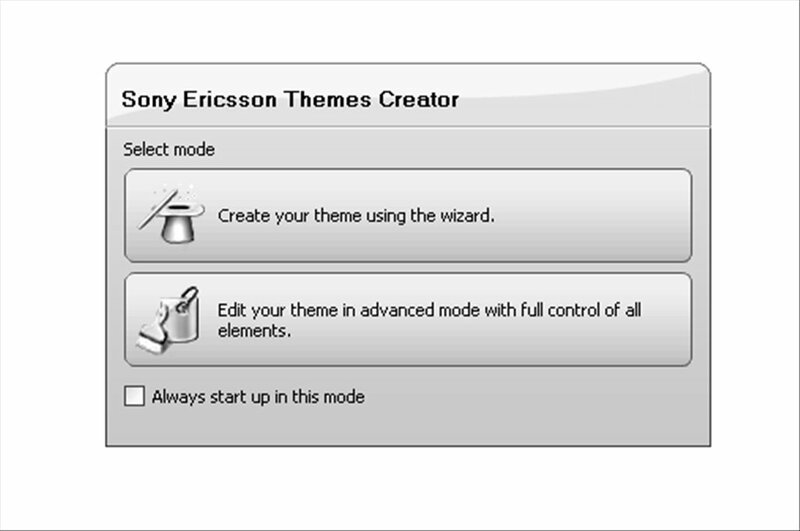 Customize the appearance of your Sony Ericsson device. 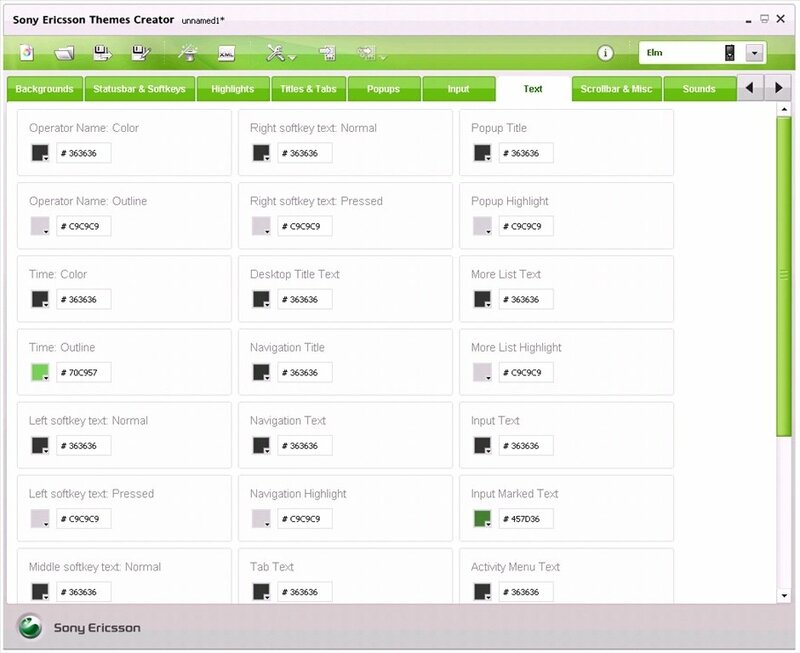 Quickly create new themes using existing color palettes, audio, images and animations. Includes an assistant mode which will guide you in the creation of new themes in three simple steps. Advanced editor available for professional developers. 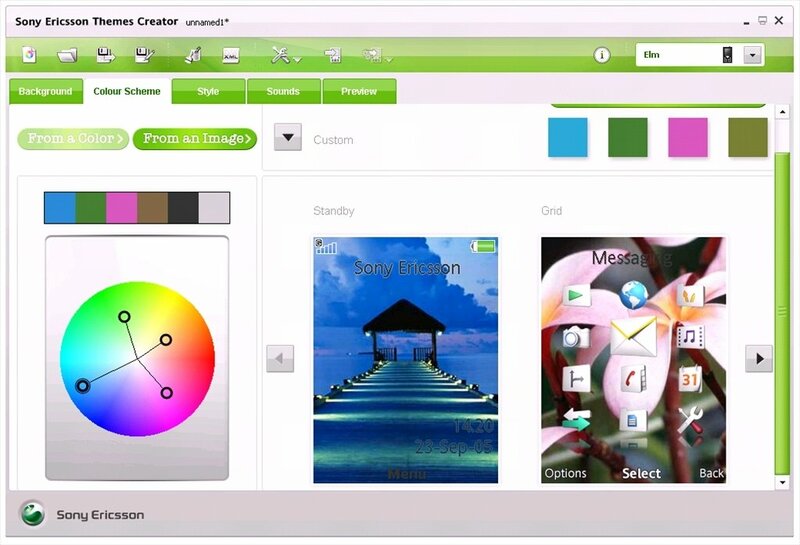 So as to cover as many users as possible Themes Creator offers three different ways of using it. 'Wizard' mode is perfect for beginners, because it offers a three-step assistant to create new themes. The 'Advanced' mode has been created for professional designers. 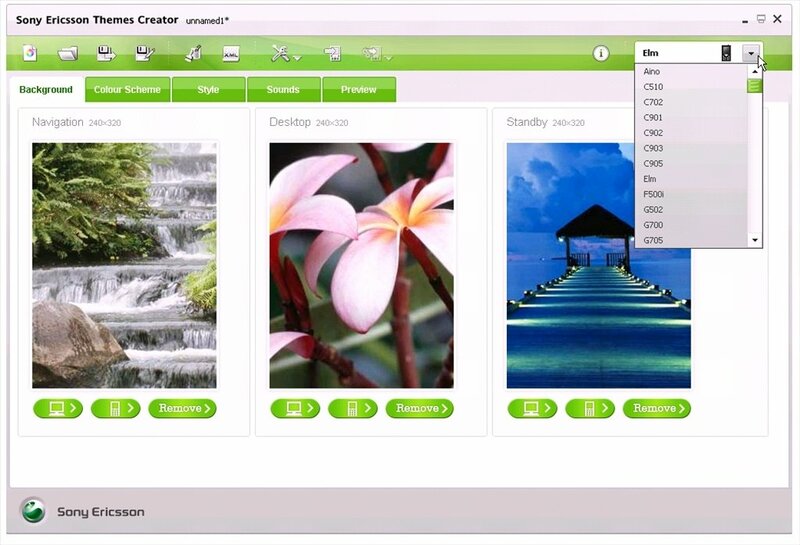 It offers a more precise control and options to import images and choose the color of each element with full detail. Furthermore, it allows you to choose message and ringtones and to import Flash contents as wallpaper. 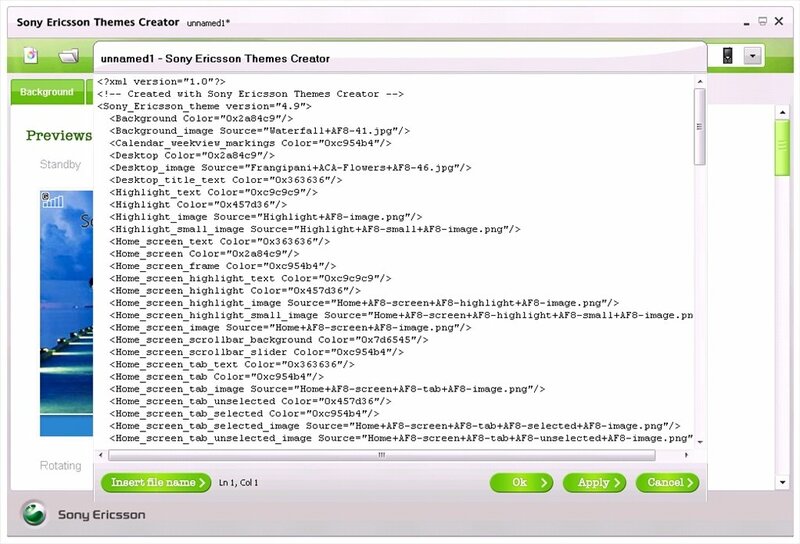 The third option is an XML editor, thanks to which it will be possible to edit the contents of the file stored with the theme file. 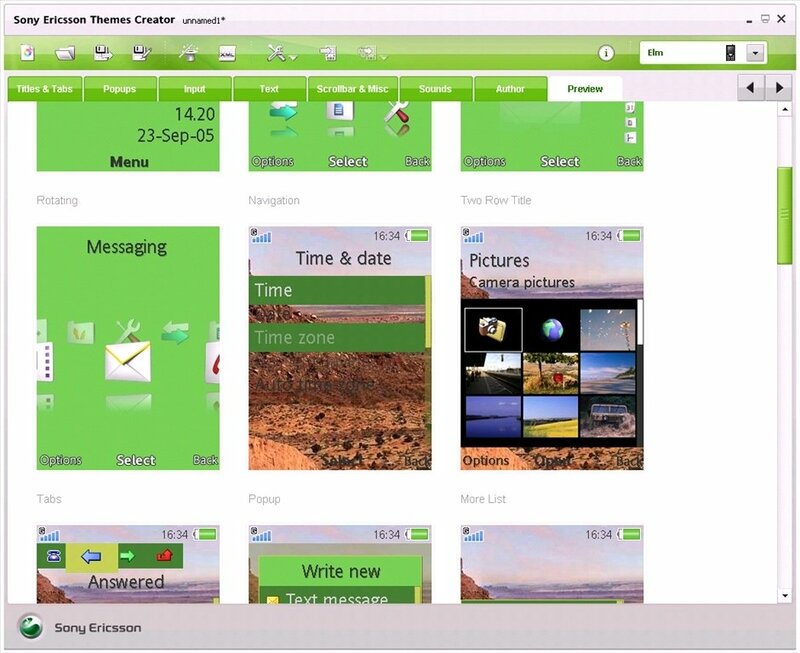 Configure your Sony Ericsson mobile telephone and apply new striking graphic themes to give it an exclusive and very singular aspect. 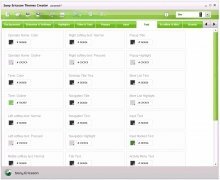 Download Themes Creator for free.